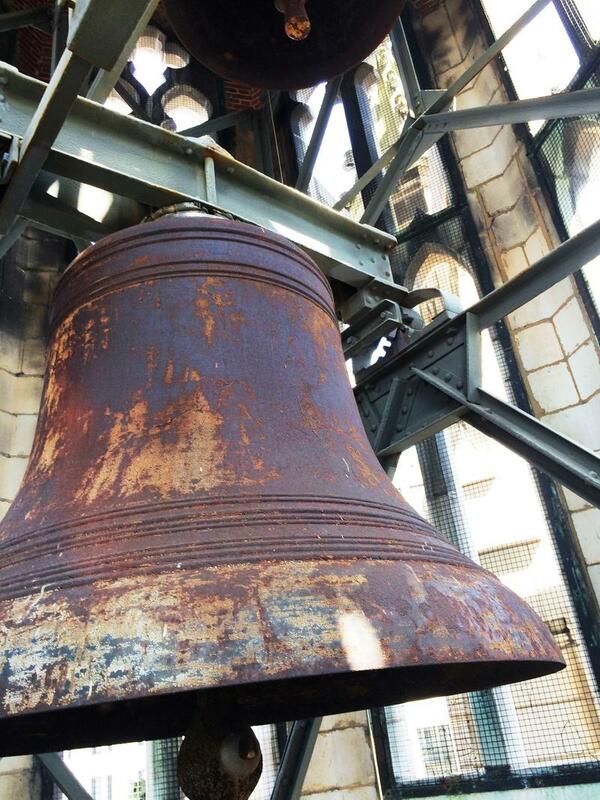 Hundreds of church bells of the St. Louis Archdiocese and other local congregations have hung silent since Holy Thursday, but will sound again, as is tradition, for Easter Vigil on Saturday. For generations, the handmade metal signals have called on local communities to mark the significant moments of life. 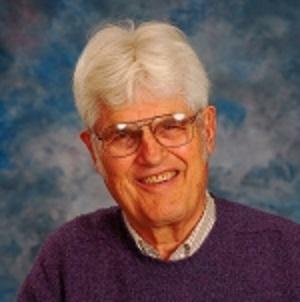 On Wednesday’s St. Louis on the Air, host Don Marsh spoke with Rev. 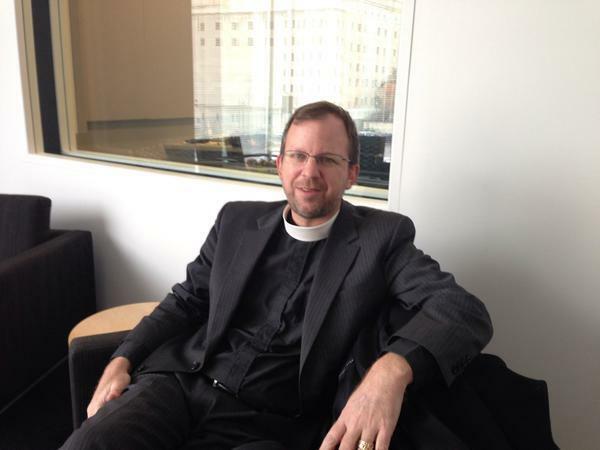 Michael Kinman, dean of Christ Church Cathedral in downtown St. Louis. 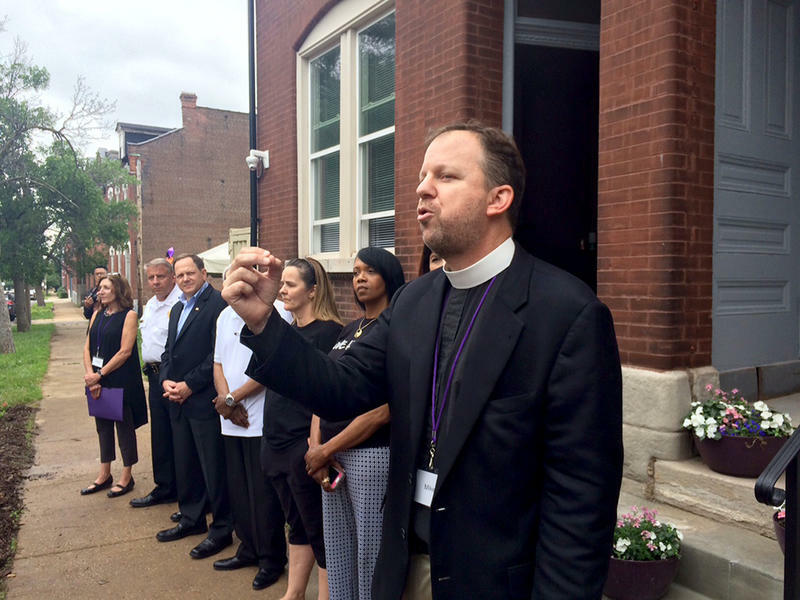 Kinman will be leaving St. Louis to serve Episcopal congregants in Pasadena, California this fall. 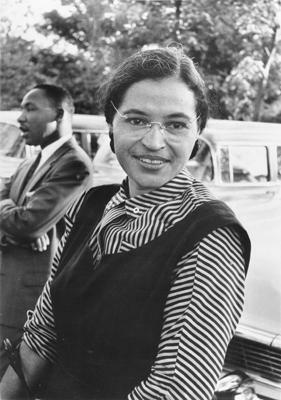 In celebration of Black History Month, Christ Church Cathedral is holding a concert Sunday honoring Rosa Parks. The concert will feature arrangements of spirituals and “Hymn for Rosa,” a work written by Christ Church Cathedral organist and choirmaster William “Pat” Partridge after Rosa Parks died. According to Partridge, her death reminded him of his childhood in segregated Virginia and her perseverance to end segregation. 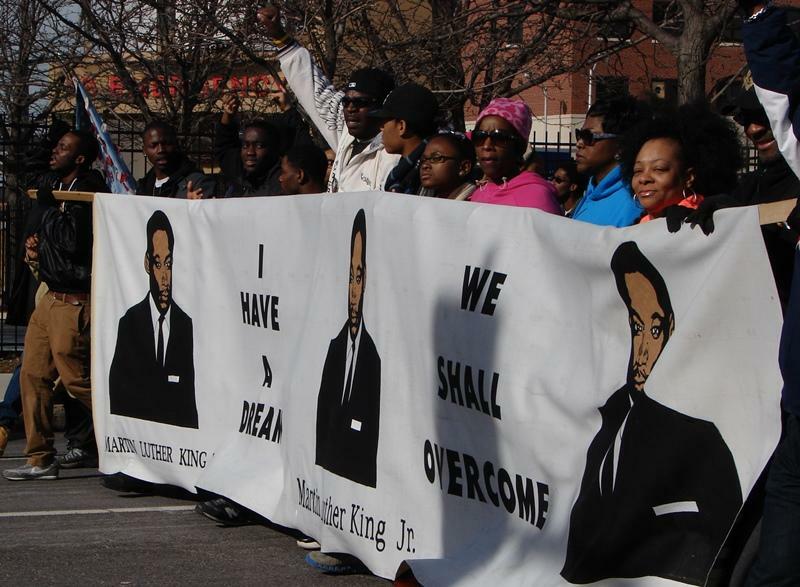 Thousands of St. Louis-area residents celebrated the legacy of Dr. Martin Luther King Jr. with ceremonies, music and marches over the three-day weekend. 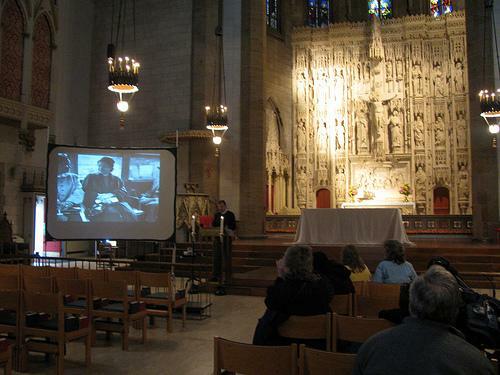 Christ Church Cathedral in downtown St. Louis hosted readings on Monday of King's writings, sermons and speeches from the same pulpit where he once preached 50 years ago. Updated at bottom on October 22 with bets from the Archdiocese. Updated at 3:30 p.m. to clarify quote about child trafficking. 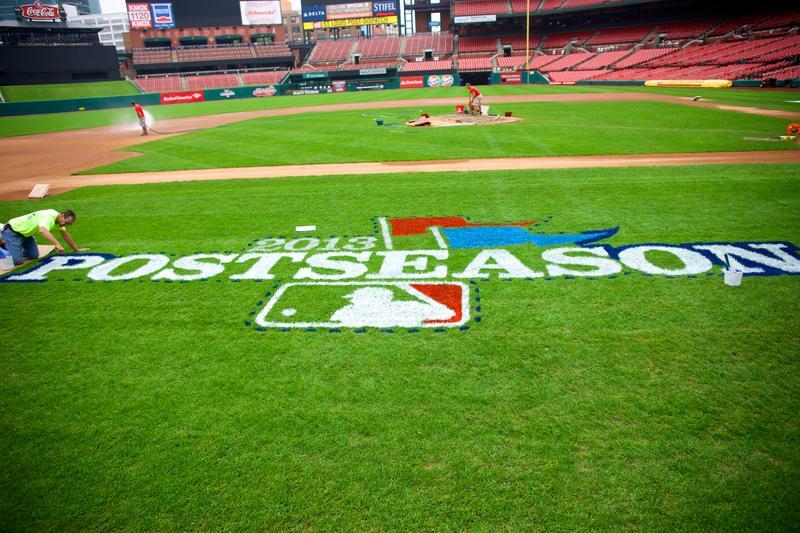 The leaders of the Episcopal cathedrals in Boston and St. Louis are betting that the World Series between the Red Sox and Cardinals will help combat human trafficking and prostitution in their cities. This article first appeared in the St. Louis Beacon: The Palm Sunday snowstorm scored a knockout punch on events all over the region; and one of the most estimable was a performance of the musically magnificent and haunting Duruflé Requiem. It had been prepared by Christ Church Cathedral’s choir for the parish’s Palm Sunday festival service, only to be put on ice, as it were, in anticipation of the congregation’s being diminished because of the weather. In an entirely appropriate gesture, however, this soaring requiem will be given life, perhaps more abundantly, on Sunday (April 28) at 5 p.m., as a memorial to those who died in Boston and in West, Texas, during the punishing week of April 15. 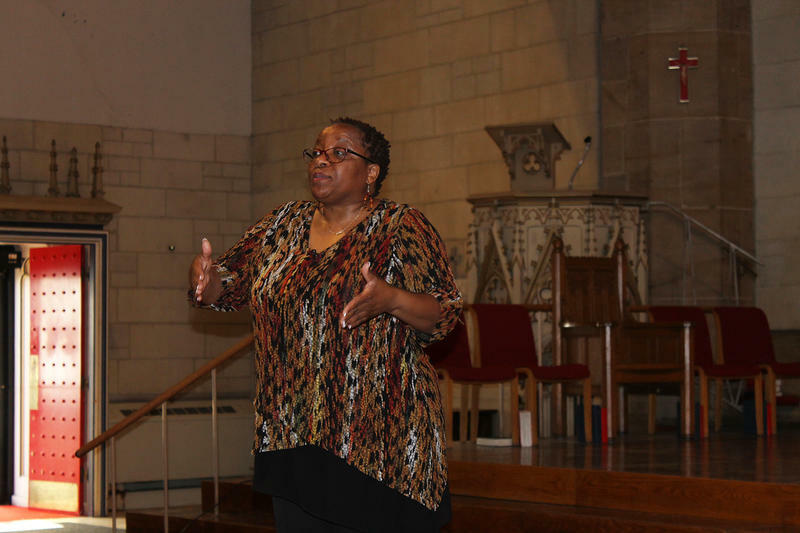 For the third year in a row, Christ Church Cathedral in downtown St. Louis will give area residents a chance to read and hear the words of Dr. Martin Luther King, Jr. The dean of the Episcopal cathedral, The Very Rev. Mike Kinman, says he appreciates the call from President Obama to make King's birthday a day of service. But he says the readings are designed to provide the reflective counterpart that was also a crucial part of King's life.